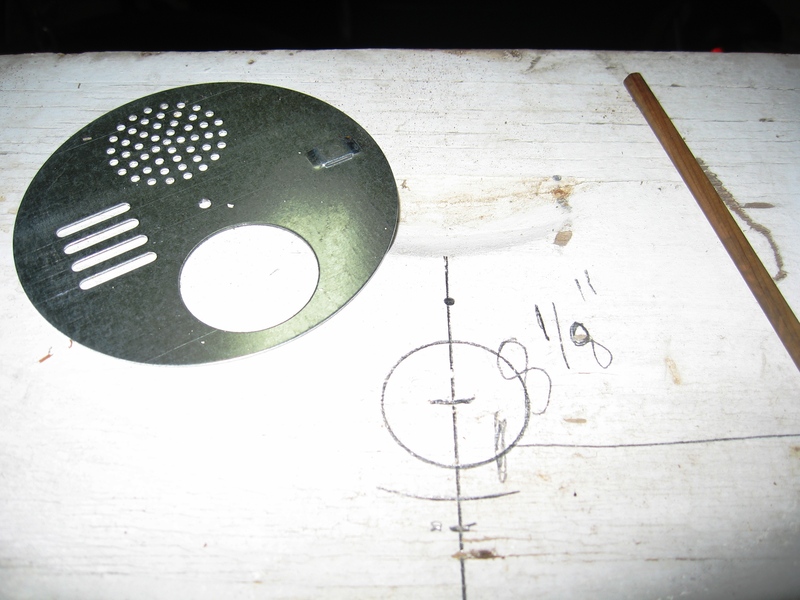 After tracing the entrance disc. After weeks and weeks of re-examining my Swarm Trap Plans I have to get them out. Every time I look at them I make changes. I found a draft laying around from two weeks ago. It showed that I was changing things in the most current version BACK to the way it had been two weeks ago. The plans can be found under How To… up in the navigation bar. Please contact me if anything is unclear. I will be hanging up traps today, but shortly there will be a instructions on loading and hanging traps. This entry was posted in HowTo, Posts, Swarm Trapping and tagged bait hive, beekeeping, How to build a swarm trap, Indiana beekepeing, Jason Bruns, swarm trap, Swarm Trap Plan, swarm trapping. Bookmark the permalink.